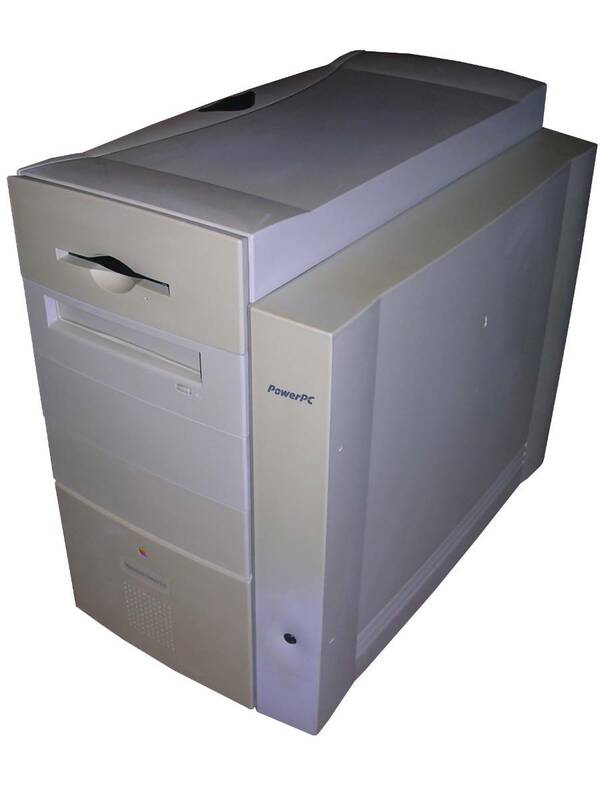 A tower version of Power Macintosh G3 (desktop), made on the same Gossamer board as desktop and all-in-one. 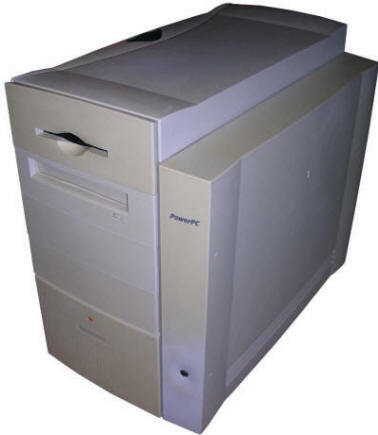 In late 1997 when it was introduced, it offered the fastest, 300MHz processor in G3 Macs family, there was also 4/8/9GB hard drive option. Minitower casing made it look more professional and gave expansion possibilities. Although multimedia card allowed to work with video, to work with MPEG2 a proprietary encoder was definitely needed. The server version had extended SCSI using faster expansion board and two 9GB drives, while there was no expansion to graphics or multimedia, the most simple sound board was used. In other PCI slots usually a fast network board was installed. Such configuration, with OS containing server extension, was sold as G3 Server. It is still a fast G3, which could be used with design, multimedia or development software. The cooling solution is also sufficient although it is smaller than in 9600 (lack of side fan). Display: External, 15-pin VGA connector in video board. My unit comes from some graphics studio and I don't have any other idea about it. It was well cleaned, with only a pure system installed. It was upgraded in its history, when fast ethernet and USB controller boards have been installed. Additionally a 16MB ATI Rage GL 128 video board from around 1999 has been installed. Side cover can be removed by pressing a large, blue button in the top of it and opening it a few degrees downwards. It is not hinged, so don't open it entirely, only slightly to pull the cover upwards then to unlock it. Remove black expansions board cover, if present, by pushing it towards rear and then moving down, then remove. Now you can remove parts. Place the computer on flat surface, on the side. Unlock two latches and open a whole top part towards the top of computer, make it sit on surface. If it opens more than straight angle - use an old book to keep it not broken off. Removing drives requires removing its front panel and then removing towards front. Usually one hard disk may sit near power supply unit, where one hard drive bay is present. ATI video boards from deaktop Macs just work. Overclocking, described in Desktop G3, is theoretically possible, but cooling is not sufficient. To install Asante 590 PCI Fast Ethernet board under Mac OS 9, you have to install the driver (package with manual) first. Then, select the adapter in a control panel or Mac will try to connect using still default adapter.